Below you can view all the homes for sale in the Desert Hills subdivision located in Las Vegas Nevada. Listings in Desert Hills are updated daily from data we receive from the Las Vegas multiple listing service. To learn more about any of these homes or to receive custom notifications when a new property is listed for sale in Desert Hills, give us a call at 702-323-5939. This home is a must see!!! ! MLS#2087404. Keller Williams Realty SW.
Showers have custom mosaic tile. This is a must see! 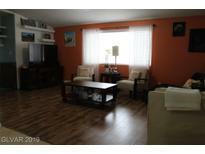 MLS#2089714. Precision Realty. Ready for Move-In, Just Awaiting a Creative and Loving Homeowner! MLS#2088603. Choice One Properties & Manage. Second floor Master offers lots of privacy, Fireplace and Spa Like Bathroom! You Must See It! MLS#2088660. BHHS Nevada Properties. New light fixtures, faucets, door handles, etc. MLS#2089598. SWG Realty Group. 15K to 20K under marker Price. 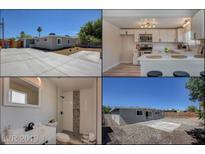 MLS#2087498. United Realty Group. Conveniently located near shopping, transit, entertainment, and dining. MLS#2079054. BHHS Nevada Properties. Must see. It won't last! MLS#2080820. Platinum R.E. Professionals. New sinks, faucets, toilet, fixtures and hardware! 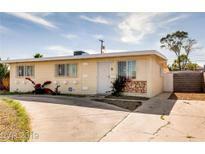 MLS#2073242. Simply Vegas. EZ to maintain desert landscape up front & spacious backyard w/covered patio & blue oasis pool, Super clean & move in ready, backyard shed,MUST SEE MLS#2067750. Realty ONE Group, Inc. Huge back yard for entertaining Lockbox is on back shed in the back yard- go thru the right side of the gate to back yard MLS#2067123. First Full Service Realty. On large lot located near schools; shopping; and freeway access. Call for further details. MLS#2063672. RE/MAX Excellence. Will be sold as is with spare flooring and paint for easy repairs down the road. MLS#2061970. Local Realty. Super Great Deal In The South East ,Spacious Bedrooms,Grat Property For Investor,Don'T Miss One!!!! Sold As Is Condition !!! ! MLS#2057374. United Realty Group. 3 bedroom, single story home with carport. 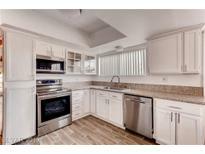 Includes washer, dryer and refrigerator. MLS#2045100. BHHS Nevada Properties. Don't miss out. Great location. Great price!! ! MLS#1966929. RE/MAX Excellence.